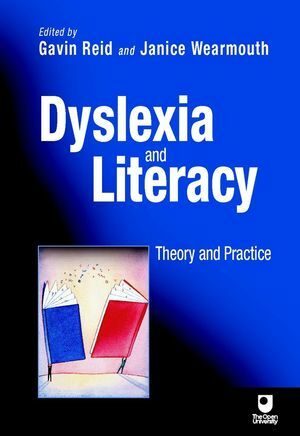 Dyslexia and Literacy provides a comprehensive, practical introduction for all professionals seeking an understanding of dyslexia in children. Divided into four parts, the book firstly introduces the various theoretical perspectives and follows this up with identification and assessment techniques with an emphasis on practical, classroom related issues. The third part of the text covers topics related to the school curriculum and a final section covers issues that relate to the learning process. He is the course team which developed the joint Open University/University of Edinburgh course on Identifying and Addressing Difficulties in Literacy Development and has also a number of research and consultancy interests, including assessment, early literacy and dyslexia in adults. Janice Wearmouth is a lecturer in the Faculty of Education and Language Studies at The Open University in the UK. She is an experienced teacher, researcher and author in the area of special educational needs and difficulties in literacy development. Her research interest include pupil self advocacy, the development and organization of special and/or additional provision for pupils who experience difficulties in learning in mainstream schools, and home-school literacy partnerships. She is co-chair of the course team which developed and produced the Open University Course E801 Difficulties in Literacy Development in Collaboration with the University of Edinburgh.